It’s been a while since I’ve posted here at Down the Scale. I guess I’ve been waiting for some big weight loss or outstanding accomplishment to share. Well, I’m still waiting. The past few months have been stressful for a variety of reasons and my 10 pound weight gain from the holidays is still here. It’s as if I haven’t thrown out my Christmas tree and it’s taunting me with its brown needles and limp branches. I just haven’t been able to get over the “hump” and get back to losing weight. What’s a girl to do? Here I am at mile 2 of my 12 mile training run for my first half-marathon next month. When I had my gastric sleeve surgery 3 years ago, I never imagined I would be able to run this far! Running is my anchor! This girl did a few things! First I’m admitting to the world that my jeans are tight, I’m still snacking (albeit on better foods than the holidays) and that I’m scared. I’m terrified of going back to the “old” me: the overweight, unmotivated about my health kind of person that I was most of my life. Yes, I’m admitting this on my blog, but the first person I really admitted it to was my therapist. I’ve talked about going to therapy in many of my blog posts and once again, I can’t stress the importance of having a professional to talk to about weight loss, stress and basically anything else in life you need to talk about! I went to see my therapist about everything going on and told her I just can’t get back on track. “How do I do it?”, I asked. And she just said, “You’re here now. This is your starting point.” Why, yes, yes it is! That phrase is now one of my mottos as it pretty much sums up one of the most important aspects of my weight loss journey. Whether I’m running slow or even walking, I’m moving my body. My time to run is all about me. It’s my time to exercise, but more importantly it clears my head. I use that time to listen to music, to daydream and to get out the tension in my body and soul. Whether my run is short or long, I always feel better afterwards. 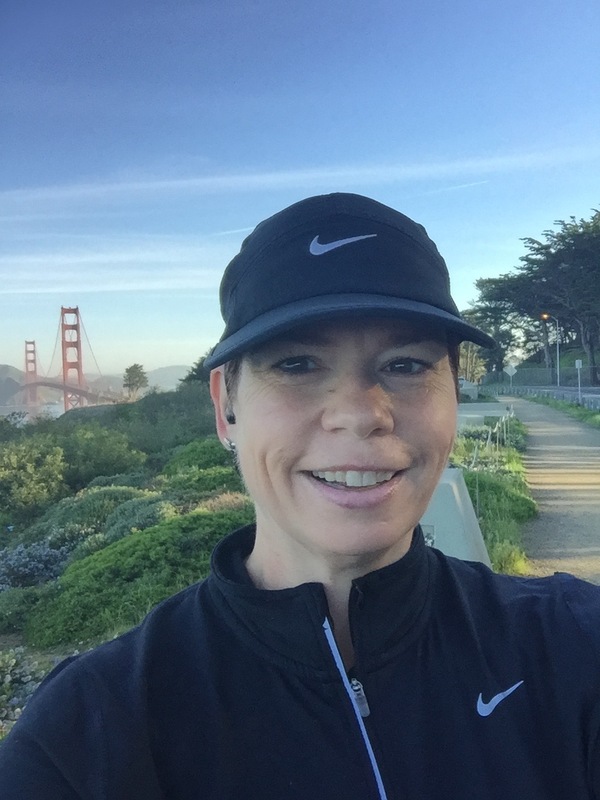 Talking about running with my therapist helped me get a little perspective on my journey. At this time last year I was prepping for my longest race, a 10K. This weekend I’m running a 10 mile race and then in less than a month I’m running 13.1 miles! I will proudly toot my own horn and say that it’s pretty awesome! So running is my anchor, but what do I do next? In the poignant words of Dory, “Just keep swimming.” In my case, swimming means taking care of myself. I feel like I’ve been treading water, so to speak, and that’s OK. Well, it’s OK for a while. Eventually you have to swim or you’ll sink; you can’t tread water forever. I’ve focused on these 10 pounds and it’s been more stressful than helpful. While I need to get them off so that I feel better and so that my clothes fit better, I think I need to approach it a different way. I’ve got to find a balance of being more aware of my eating habits without obsessing about them. Honestly, I’m not sure how I’m going to do that. It’s something for me to figure out. I don’t want to live my life obsessed with a number, but I don’t want to go back to not caring about it either. Back into the weight loss pool I go! I think I have enough water metaphors to help me get back on track to the healthy person I know I can be. It’s been almost 3 years since my gastric sleeve surgery and I’ve kept off about 90 pounds! Sometimes you just need a reminder of where you’ve been, both good and bad, to get you back on course. Here I am, diving back into the waters of weight loss and more importantly, health, at Down the Scale….